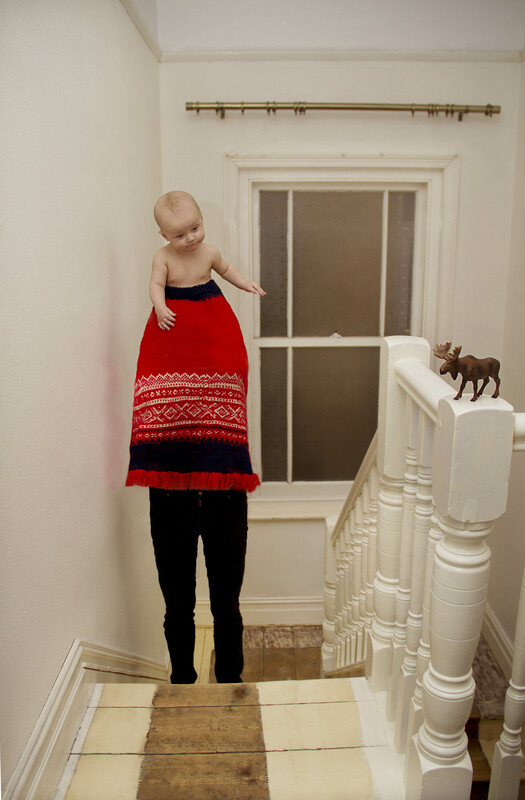 The work explores emotional challenges related to mother’s new identity. Being consumed by this new role, the mother will be challenged not only physically but most of all psychologically. Statistics shows that 80 % of new mothers will experience what is referred to as ‘baby blues’, or a sudden drop in mood, soon after the baby is born. Unlike other natural feelings of happiness, love and affection it doesn’t seem to be socially acceptable to express these psychologically challenging feelings related to their new identity. It is part of artist’s You Are to Me What I was to Her series.